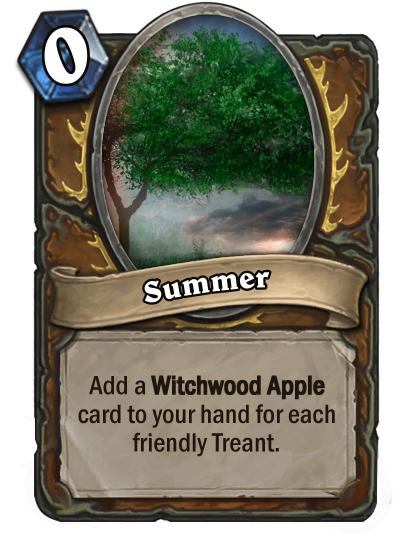 You must make a Druid card about Treants. 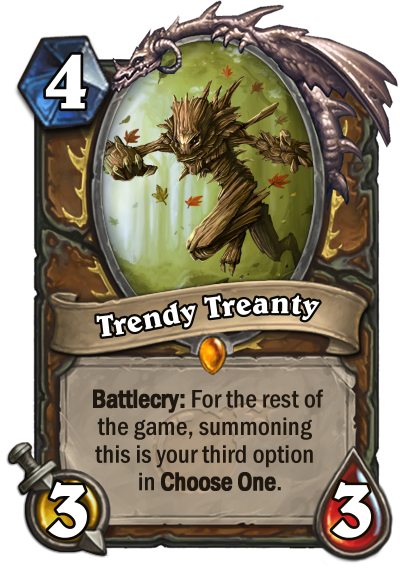 The card can be synergy-related or an actual Treant; that's up to you! 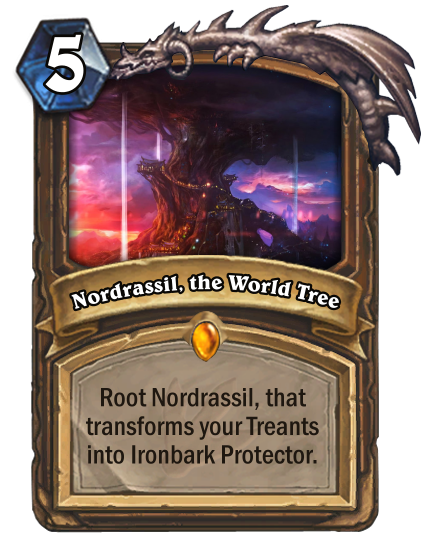 Remember that "Treant" is NOT a tribe, like Murloc, Beast, or Mech. 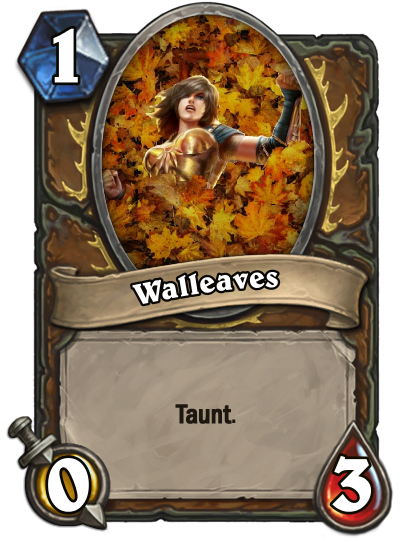 An appropriate name and art is enough. 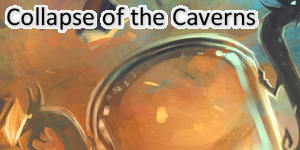 We have whittled down ~110 valid submissions to just 13 of the community's favorites. I voted for 4 cards, but like Rotwick the most all because of the flavour. 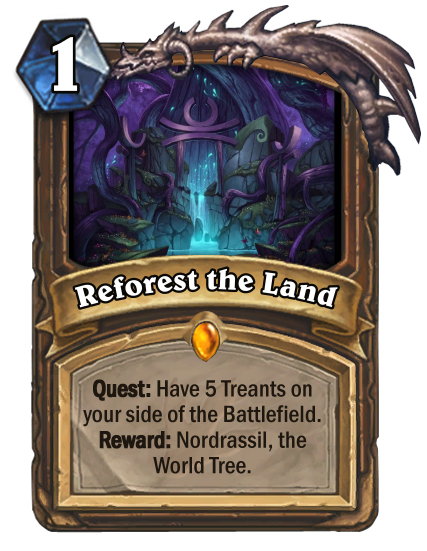 Reforest the land has such a brokeback quest reward. 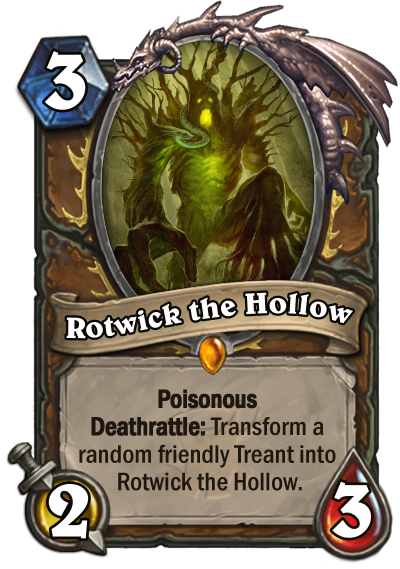 Really like gnarlroot and rotwick though, cool designs especially on gnarlroot. 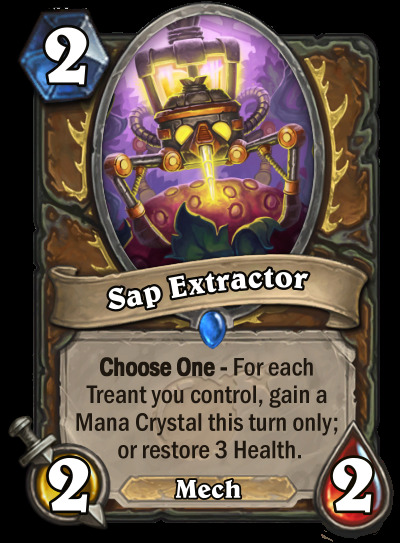 I really like Sap Extractor and BioGarnder, they do a great job of straying away from the smorc part of treants. 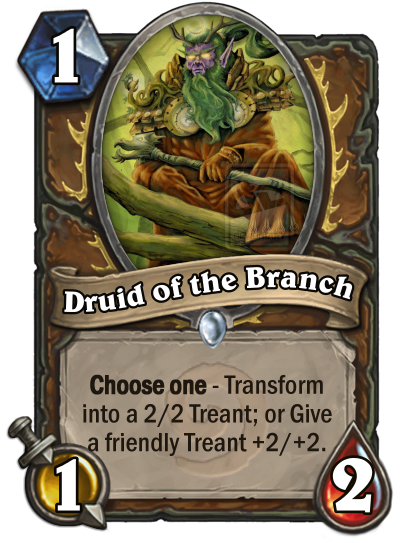 Too bad I didn't make it but you guys did a good job, especially druid of the branch and trick or treant in my opinion. Just your average off-metamancer here. 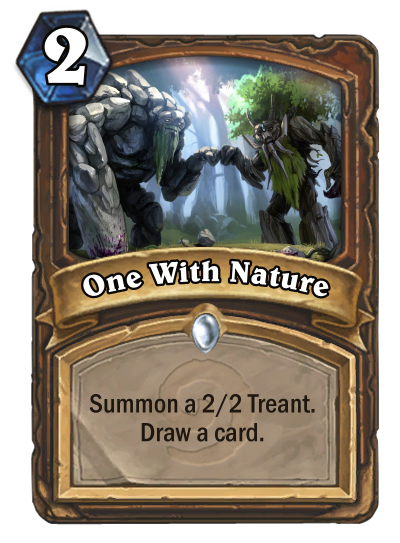 Great job with One With Nature, Sinti. 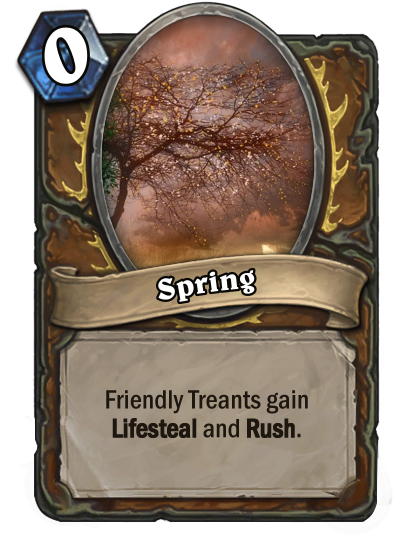 Basic and creative, at the same time. 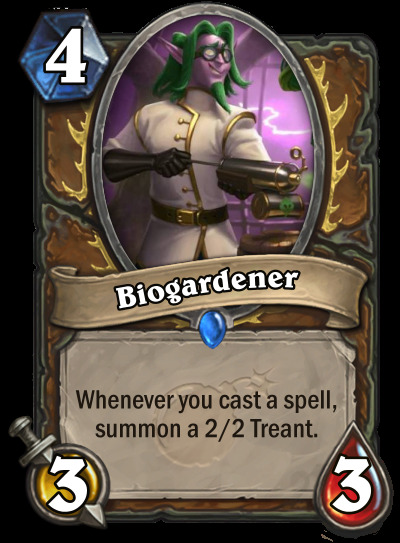 It's a Novice Engineer on roids. Wait, you can vote for yourself? Also, congrats to all the other finalists. Glad I made it! 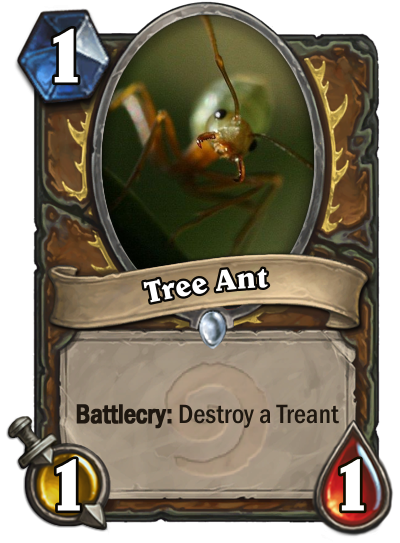 Second most total votes, but didn't make it (Tree Ant, pg.1). 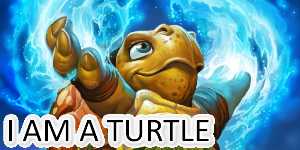 Kinda salty about someone stealing my play on words and making it to the finals. I feel you, man. I liked your version better, if that's any consolation. The voting system for the first round can be unfair sometimes. There is always some luck involved and obviously best cards rarely win. No can do. It's just sad that someone had the chutzpah to steal and get rewarded. I don't think OpenSHU stole your idea. It's not that hard that two people come up with the same pun. 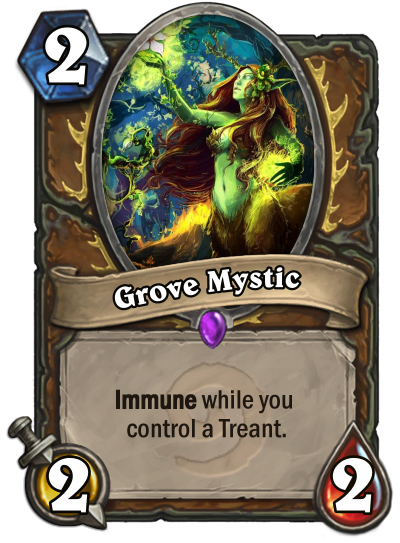 For instance, I also thought of the pun "Trick or Treant", even if I didn't end up using it. 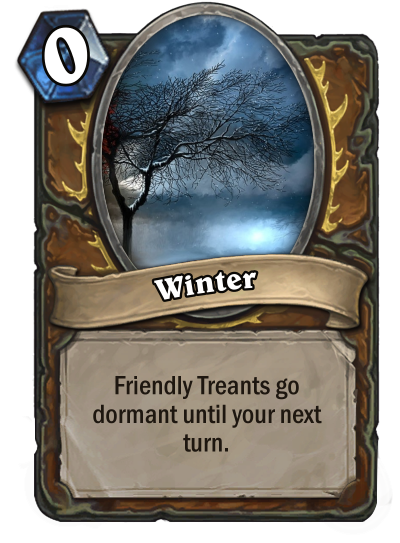 Of course it is neither forbidden nor super unlikely, but it is just good manners and sportsmanship to refrain from posting such a similar card. Isn't there a first come first serve rule in this forum? 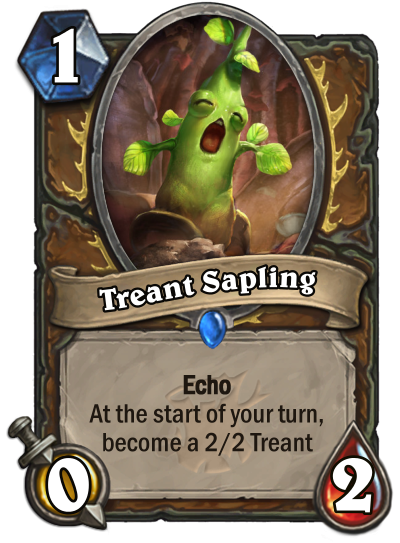 Posting cards with copied stats or mechanics would upset me in a similar way. 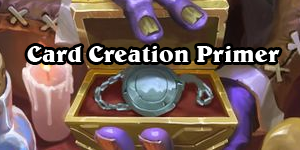 Or do you think card names are neglectable?! 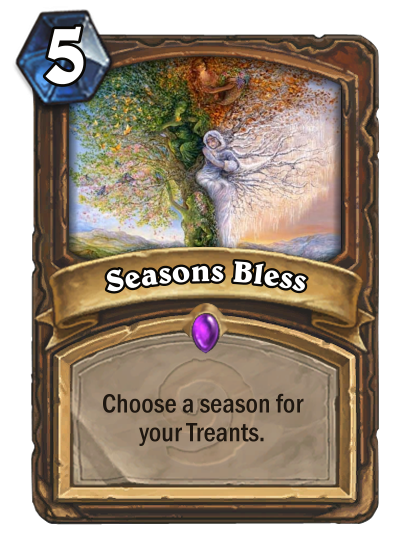 Jesus, this really goes to show how much better the game would be if the community made the cards haha. 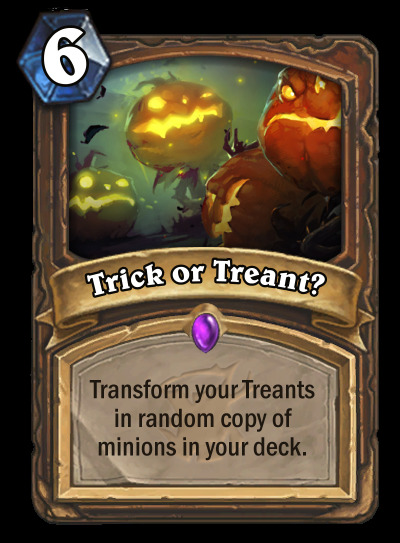 Especially cards like gnarlroot and trick or treats are very cool. 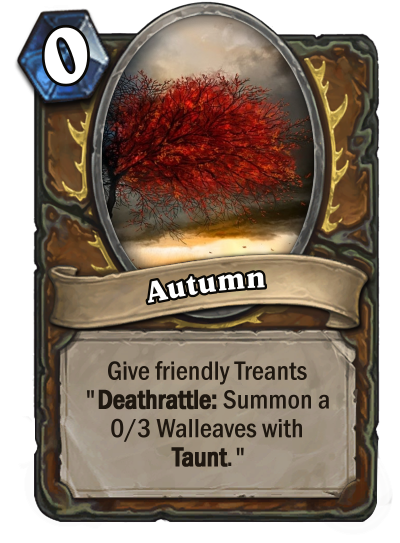 I can imagine a trick or treat deck with wisps + soul into trick or treat into a full board of tyrantuses and mulchmunchers. 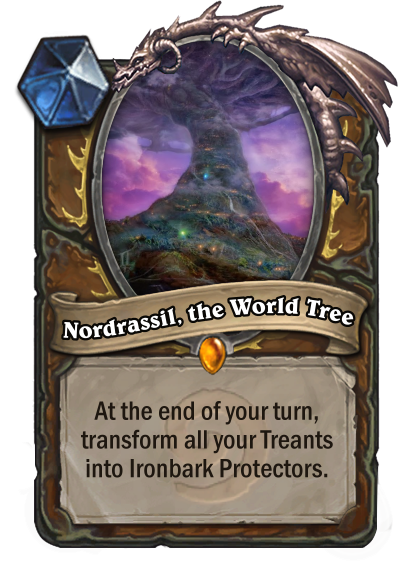 Such a cool card. 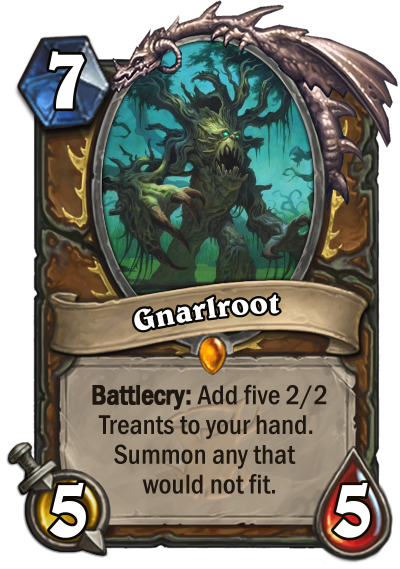 Voted for Gnarlroot (I can feel some Harambo flavor in this haha), Rotwick, Treant Sapling, Sap Extractor, and Trendy Treant which I've wildcarded (even though the art is weak). I was worried that my theme was too restrictive, but I guess it's not too bad.